NASA's Mars Exploration Rover Spirit took this image of the rock dubbed "Mazatzal" with its hazard-avoidance camera on sol 82. 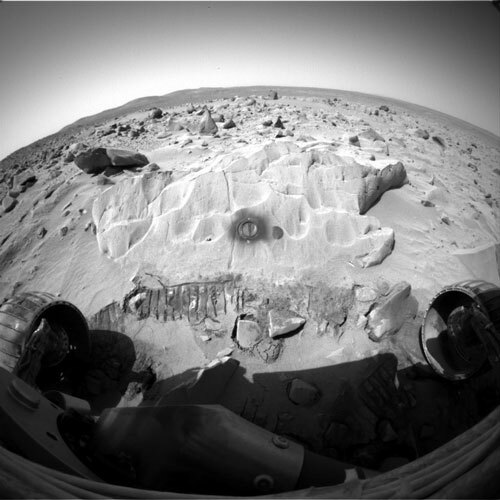 It was taken after the rover's rock abrasion tool completed a 3 hour and 45 minute grind to produce the hole on Mazatzal's surface. The wheel tracks that can be seen at the base of the rock are the result of rover positioning.